The Levada das 25 Fontes has a new alternative. In the map that illustrates this article, the new route appears in red. 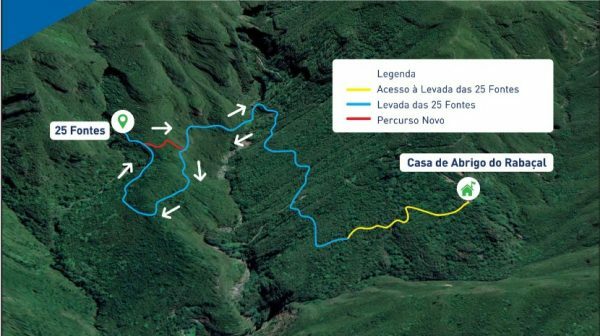 This means that, from now on, when making the way back to Casa do Rabaçal, there is a new route that will allow the route to be made in a safer way, reducing the load of people that is found along the way. walking. The new path allows you to make the narrowest part of the path in one direction. The Calheta Chamber welcomes this intervention from the Institute of Forests and Nature Conservation (IFCN), as it provides greater security for walkers. It should be noted that the Levada das 25 Fontes is one of the most frequented routes in the Region, both by Madeira and by tourists.